Somehow we are back in Social Studies, and honestly, it felt like we just finished Socials 9 yesterday. I am particularly excited to begin Socials this year because we are taking the time to learn all about Canada. Yes, learning about history in Europe can be interesting and is definitely important, but it doesn’t really hit close to home. Whereas, learning about Canada, the place I actually live, feels very personally relevant. While quite a heavy topic, residential schools and reconciliation are definitely an interesting way to start off this year’s Social Studies journey. The topics line up very well with our interest in learning about the “dark side” of Canada. Myself, Olivia, Rachael, and Weijin are covering the broad question “What are the key components of reconciliation?”. Be sure to check out their blogs to read about other topics regarding the process. What is the right balance between apologies and actions? I was really interested in this question as I think it is one of the biggest components in the reconciliation process. After willingness and trust is made between groups, the actual process of reconciliation begins. The question is, what exactly needs to happen during this time? Sure, an apology feels good, but does it really fix anything? And yeah, it might be nice to be given some extra cash as a way to say “sorry”, but how does that help the emotional trauma? Through my research, I want to get more insight into which apologies and actions need to take place for reconciliation to be successful. All of the above CBC articles address the point of apologies. Specifically, Stephen Harper’s official 2008 apology to former students of residential schools. “The treatment of children in Indian residential schools is a sad chapter in our history. Harper’s apology came after many people demanded a sincere, heartfelt apology by a prime minister. Although Harper and many other officials’ apologies included depth on the issue, it’s hard not to wonder “did they just do this because they had to?” Controversy and questions like this have come up in regards to apologies with the church. While some churches, such as the Anglican Church of Canada, provided heartfelt apologies, others did not satisfy the Aboriginal community. For example, CBC reported that “Pope Benedict XVI expressed his “sorrow” to a delegation from Canada’s Assembly of First Nations for the abuse and “deplorable” treatment that aboriginal students suffered at Roman Catholic Church-run residential schools.” At the time of this statement, Phil Fontaine of the Assembly of First Nations did not accept the words as an apology. They were more of way to just “close the book”. I really like this quote because it brings up a good point. When the government and church apologize for what they have done, there is a slight chance that they may make those who they have hurt feel a little bit better. Although mostly, it just makes themselves feel better. I think apologizing is more of a way to take the weight off your own shoulders, thinking that the word “sorry” is going to fix everything. However, this is untrue. You need to prove your apology by demonstrating the proper actions to make your apology real. But which actions are the right actions? I found the first two CBC articles quite interesting as they address past attempts of “reconciliation”. A couple years back, the way that the government and church chose to show apologies was through compensation packages. These packages provided residential school survivors money in order to repay their bad experiences. Former students were to receive $10,000 for their first year at school and an additional $3,000 for all the further years they attended. According to CBC News, “as of Sept. 30, 2013, $1.6 billion had been paid, representing 105,548 cases.” This compensation package also included a promise for the Truth and Reconciliation Commission which was officially established in 2008. Here’s the thing; money is great. I’m not going to deny that. However, for the government to use money as their first big attempt to reconcile is ridiculous. Money is not a real apology for all that Indigenous people have endured. 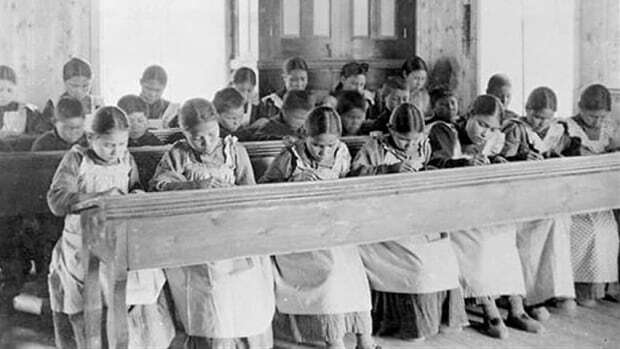 Money is not going to simply fix the trauma residential school students face. Money is not going to bring back the childhood of Aboriginal kids who were taken away. Why could the government and church not have gotten together to initially discuss the mental well-being of former students? Why go straight to money? Is it because it’s the easy choice? What was the point of wasting time distributing cash as a first action when really, it does not help fix the problem? Now, these goals are all good and swell, but how much do they mean if not everyone is partaking? Just one person refusing to demonstrate these respectful practices will stunt the whole reconciliation process. What the mandate is asking for is reasonable for Canadians to participate in, so why don’t we? It is important that Canadians work together as a collective to truly make a big impact and fix all the damage done. Through my findings, I believe that apologies and actions are both necessary in the process of reconciliation between groups. While we can never really know the level of sincerity of one’s apology, from the perspective of a survivor, it is still nice to hear. For those who have harmed, it allows them to remove a weight off their shoulders and to forgive themselves. However, we can forgive, but we should never forget. An apology is not the end of the issue. We cannot let ourselves ignore the rest of a situation after a simple “sorry” is said. We need to prove our apologies by acting on what the TRC mandate asks for. The one big question I am still asking myself is “How do we secure mutual trust and respect between groups?” This question is important because in order for reconciliation to initially occur, a trust has to be created between those involved. If trust isn’t present, then nothing can begin. So why is any of this important? I think we need to understand the difference between apologies and actions, and we need to do each of these things appropriately and actively. When I say “we”, I truly mean “we”. Progress is a collective process. As Canadians, we all need to take part in following and respecting the TRC mandate in order to reach true reconciliation.